Hope you are well. Flower making is really easy with clothes. In this video tutorial i have shown how to make a nice and unique flower from colorful clothes to make your home more beautiful. For this flower making you need sewing pin, threads metal wire etc. First of all use the metal wire to make a shape of little petals and cover it with the colorful clothes and sew it with threads. This will work as the flower petal. Make 5 petals like them. 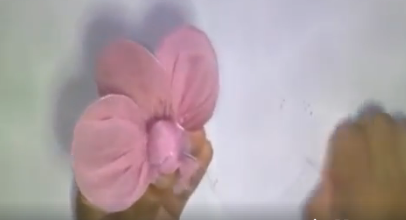 Than make a nice stamen and attach the petals around it. wow the nice flower making with cloth is ready. Now the decoration is up to you. So like this flower making you can find lots of video tutorials in my channel. So lets keep making lots of crafts from waste materials. As i always say, Think before throwing anything.